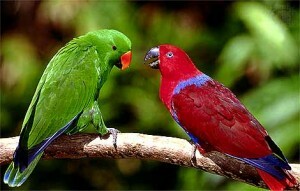 All parrots have a number of distinctive adaptations that equip them for their unique lifestyle and set them apart from all other species of birds. A prominent, strong bill is designed to crack open nuts and cones to extract seeds. Two toes point forward and two point backward. Each foot can essentially work like a hand. Food is generally held in the left foot when feeding. Cockatoos are different to other parrots as they possess a distinctive erectile chest that is raised when the bird is alarmed. Male cockatoos may also raise their crest during courtship and territorial displays. The tongue helps to manipulate food held in between the upper and lower mandibles. 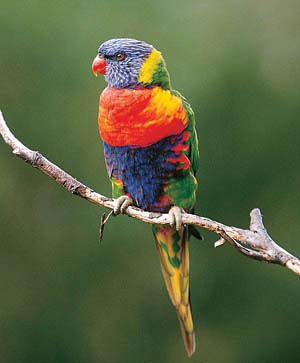 Lorikeets and other nectar and pollen feeders have a brush-tipped tongue.